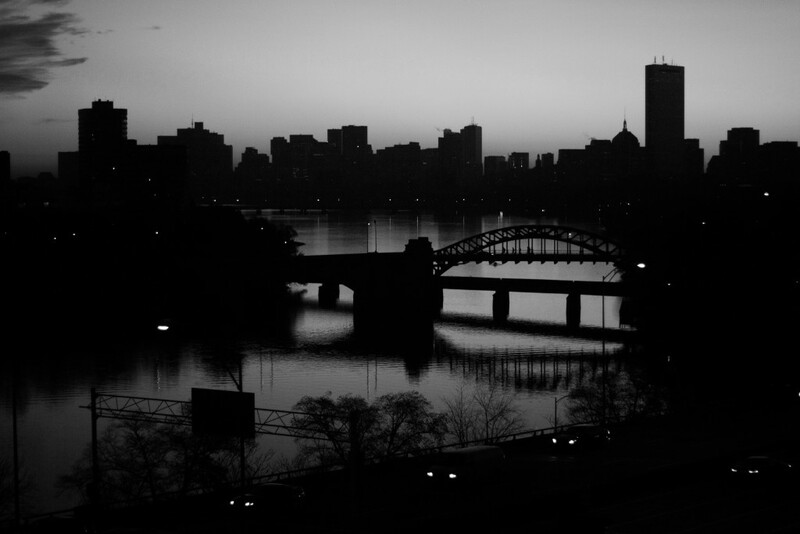 Boston, November 11, 2014: The sun rise illuminates the Boston skyline, seen from Student Village 1, 10 Buick Street. Frame your subject with the brightly lit sky in the background. Meter your exposure off the bright sky. Your subject should not be in the frame when calculating exposure. Recompose your photo with your subject in the frame, but keep the exposure you calculated for the sky. Best results are obtained when the sun is low in the sky (dawn, dusk). Compose photo with clean, recognizable shapes. Upload two images – two great examples of a silhouette.